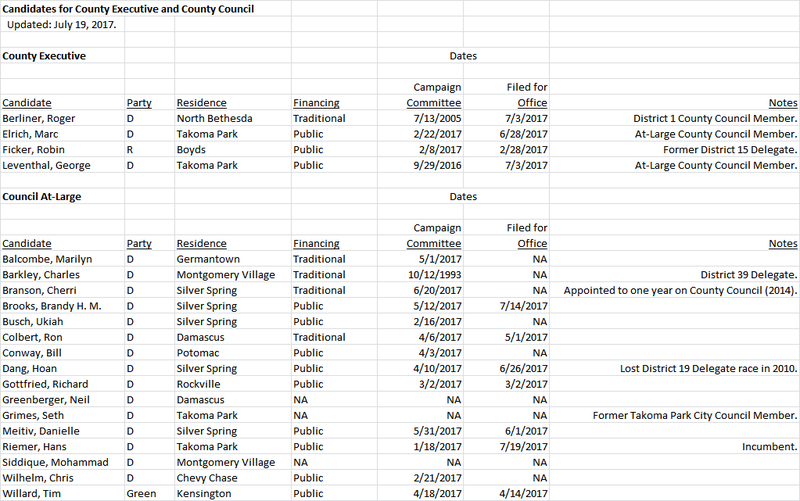 Significant speculation surrounds the number of candidates who could be running for county office in MoCo next year. Some believe that fifty or more people are interested in running but the ultimate number will probably be much less. 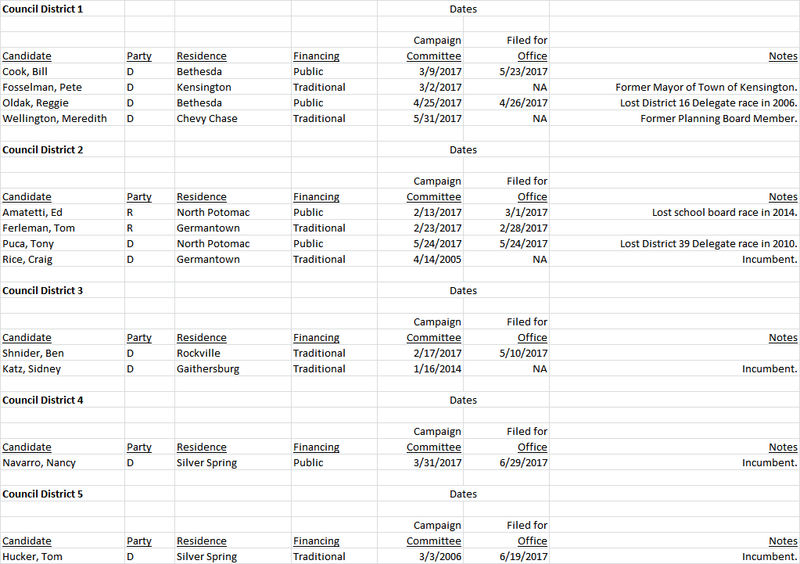 Below are the candidates who are actually running for County Executive or County Council at this moment. All of them have either established a campaign committee, have filed to run, have publicly announced their intent to run or are incumbents who are eligible for reelection. If there are mistakes or omissions on this list, please let us know. We will be posting regular updates.